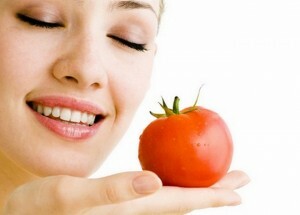 Here are 8 amazing home remedies that can treat skin problems experienced at teenage! 1. Acne: As the skin is a major detox organ, a build up of toxins in the body can contribute to clogged pores and unsightly blemishes. Try a drop or two of diluted tea tree oil, or use facial products containing tea tree oil. Chamomile is also anti-inflammatory and antiseptic, making it a great natural treatment. Make a cup of chamomile tea, let it cool to room temperature, then spritz on your face. 2. 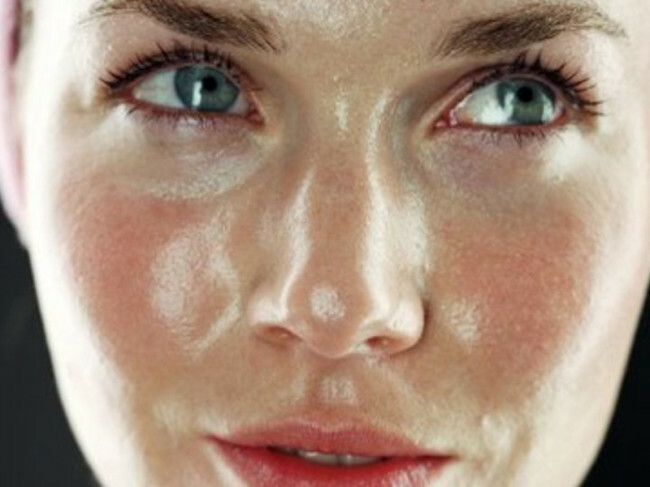 Oily Skin: Although oily skin and acne often go hand-in-hand, this isn’t always the case. Some teens suffer from oily skin alone. If your complexion is oily, but you’re not breaking out, you sure have it easy. 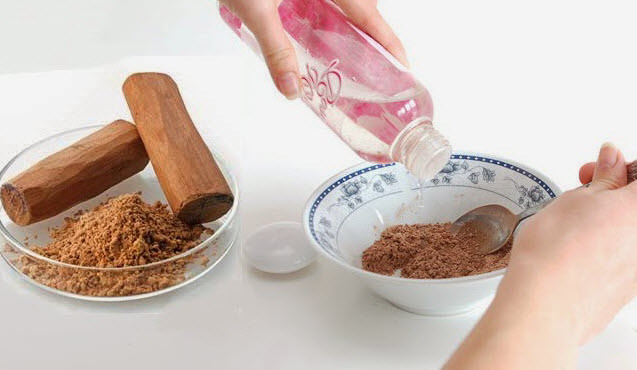 Apply a paste of sandalwood powder made with water twice a week. Do not over wash your face to get rid of the oily feeling as the skin will actually produce even more oil. Mix a pinch of turmeric with a spoon of Multani Mitti powder and make into a paste. Wash your face once a day with this. 3. Dandruff: Dandruff isn’t just a hair problem, those little white flakes actually come from the skin on your head. Dandruff can be caused by both overly oily and overly dry skin, as well as poor hygiene and even a yeast-like fungus that feeds on hair oils. Massaging jojoba and coconut oil into the scalp can help balance out issues of dryness or even oiliness. Rinsing with vinegar can help kill bacteria causing dandruff, as can adding 10 drops of tea tree oil to your shampoo. 4. Dull complexion: Prolonged exposure to sun can make your skin go dark, dull and dry. Also, prolonged use of some chemical products can cause this too. You can dry the orange peels by placing them under the hot sun until the peels turn dry and crisp. Later, grind the dried peels until it turns into powder form. Mix a tablespoon of this with a tablespoon of fresh yogurt to make a paste. Then apply this paste over cleansed face and leave it on for about 20 minutes. Repeat this at least thrice in a week for best results. Another idea is to mix a tablespoon of oatmeal with a tablespoon of tomato juice and yogurt each. Mix well until it forms into a thick paste. Later apply this on your face as a mask and leave it on for 30 minutes. 5. Sun spots: Lemon is the best remedy that naturally lightens not only the brown spots on the skin but also the dark neck or dark underarm or even age spots with its bleaching property. Lemons have citric acid that do wonders with the skin by safely removing the dead skin cells and reveal the fresh new layers of the skin beneath and ultimately make it lighter by diminishing the brown spots on the skin and glow beauty. Remember that not to go out in sun after applying this lemon juice on the skin as it might render the skin to darker than before. 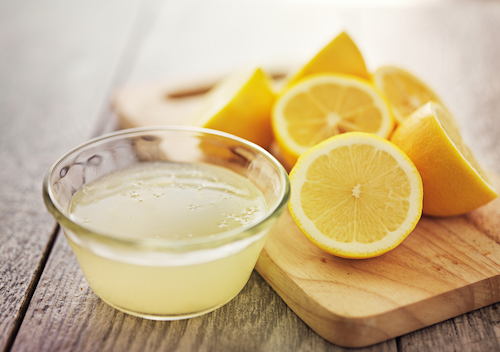 But be careful before applying this lemon juice on your skin if you’re suffering sensitive skin as it causes some itching, irritation and redness on the skin. Apply this juice by diluting it in water or rose water to prevent the irritation. 6. Blemishes: Blemishes are skin imperfections like acne-marks, pigmentation marks and dark spots. Blemishes are usually caused by oil-clogged pores and stress. Mix sandalwood paste with a little of rosewater and glycerin. Apply on skin blemishes on the face or wherever they are. Sandalwood is a good ancient time home remedy in keeping your skin clear, acne free and blemish free. Rub potato on your skin blemishes to lessen pigmentation marks. Alternatively, you can apply potato juice on the blemishes on your face or wherever they are to lighten the pigmentation marks. This is a good tip about how to remove blemishes from your face. 7. Ingrowth: Ingrown hair commonly occur on shaved areas, such as the face, neck, armpit, legs, and pubic region and look like scattered, pinpoint tan or red bumps. This condition is usually caused by shaving, waxing, or tweezing hair. It can be painful and itchy and in severe cases can also get infected. 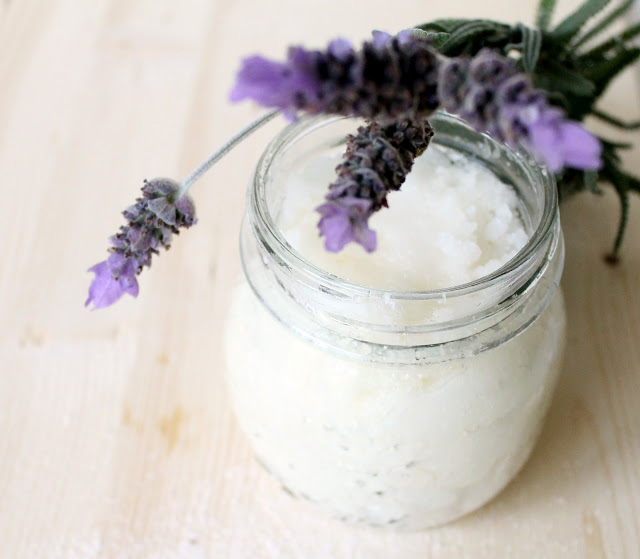 Sugar is a great skin scrub that can help get rid of ingrown hair. It gently exfoliates the skin, removing dead cells and helping the ingrown hair come out of the skin. Plus, it will make your skin silky smooth. Mix one cup of white sugar with half cup of olive oil or jojoba oil. Add 10 drops of tea tree and lavender essential oils. Apply a small amount of this homemade scrub on the affected area. Gently scrub the skin in circular motions for a few minutes. 8. Scars: Unsightly scars left after you have poked a pimple or scratched an ingrown hair are terrible. You’ve got to be patient with home remedies for scar removal, though. Tackle discoloration and craters for gorgeous skin with honey. Dab a small amount on the scar as often as you can and wash off after 20 minutes. You can actually go for your morning jog as nobody will even notice the honey! Coconut oil works even faster in fading scars.